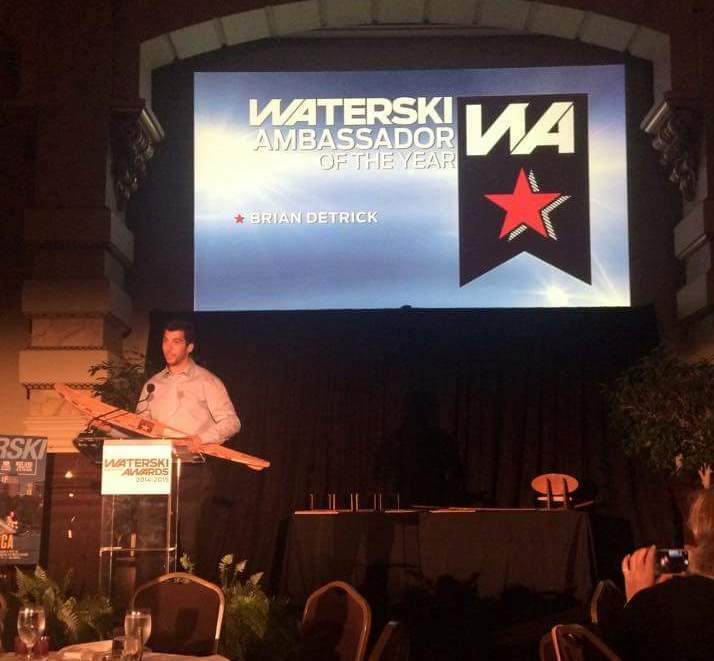 The Waterski Magazine 2014-2015 Waterski Awards also took place in Milwaukee over the weekend. 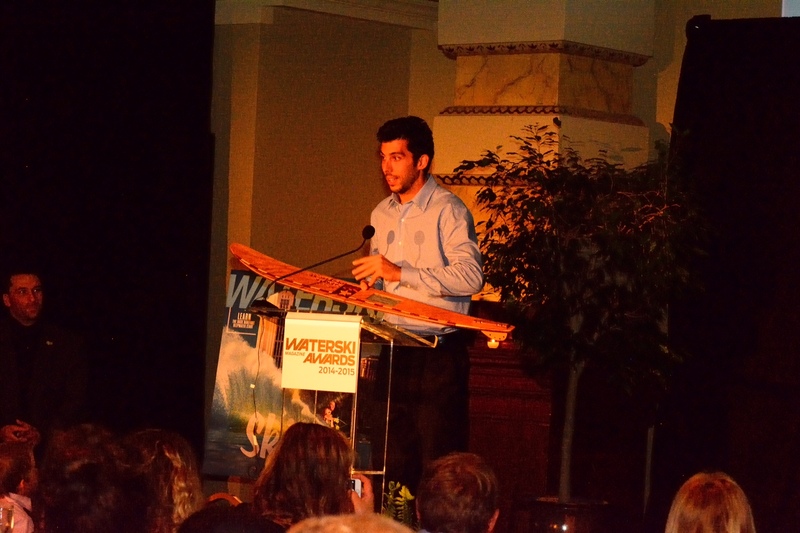 Every year the most talented skiers from around the globe are honored at the Waterski Awards to reflect upon the previous 12 months’ accomplishments of events that represent the sport to the fullest. I took home the honors and was named Waterski Ambassador of the Year. As Dano the Mano, MC of the night said, this award is acknowledging everything I do off the water to promote the sport of water skiing through social media, local news coverage, blogging, event recaps, writing instructional articles for magazines, coaching juniors and disabled water skier, etc. It was a big surprise and a huge honor to receive this award. 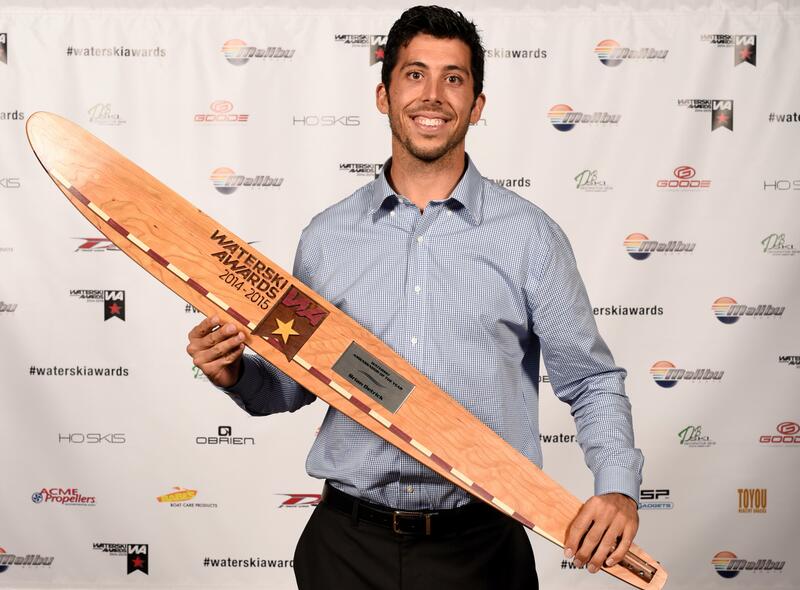 I’d like to thank Waterski Magazine for the award and my sponsors, family and friends for their continued support. It was a weekend to remember both on and off the water as I finished in 4th place at the Malibu Open! Last week our sport lost one of our biggest Ambassadors we have ever had with the passing of Andy Mapple. Andy was a role model, idol and hero to virtually anyone who knew anything about tournament water skiing. I was fortunate to get to know Andy a bit over the last few years and we had a handful of conversations about events, growing the sport and receiving more exposure like it had when he was dominating the sport for nearly two decades. Andy had a ton of ideas; even introducing a producer to Greg Badal and I as we were trying to raise enough funds to have the 2014 California ProAm made into a one hour show. Unfortunately we were not able to make ends meet but I was able to secure a grant for local cable television in Northern California. Andy was always willing to help and give his expertise to help individuals, events and our sport in general. He was a true Ambassador of our sport and it is a huge honor to be recognized as Ambassador of the Year as I continue to do my best to promote the sport we all love and to try and follow in this great man’s path. Thank you Andy for all you did on and off the water. You will be missed my friend. I also owe a thank you to Mr. Ball Of Spray himself, John Horton, for suggesting (in my hotel room at the 2011 Diablo Shores ProAm) that I should start writing articles/event recaps to help promote my brand. Now I know no one usually listens to what he says but I took his advice this one time and it actually worked. Horton provided me with a great platform via BallOfSpray.com and I have taken off with it and expanded into multiple media outlets promoting my brand, my sponsors, events and the sport I love; WATER SKIING!!! 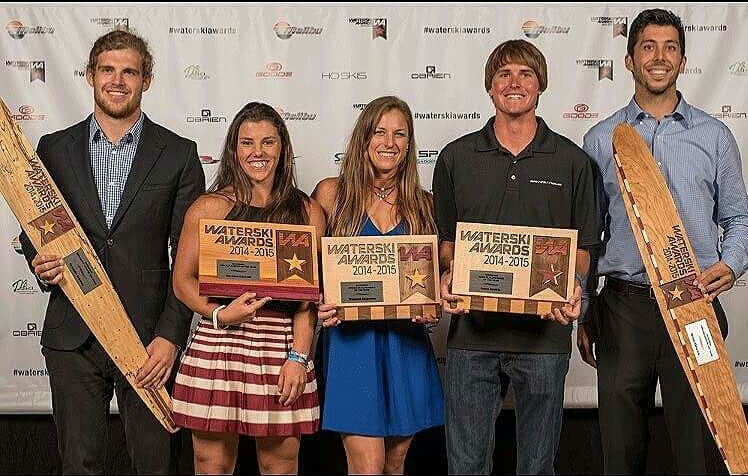 Thank you again to Waterski Magazine for the award!